SAAB: Student Activities Advisory Board is a form of student council here at the middle school. All 8th graders take a turn being on SAAB along with two 6th graders and two 7th graders each quarter. In SAAB we make plans for service projects each quarter and plan fun days for students to participate in throughout the year. Last year we visited Mel Trotter to do service as well as take a tour and learn more about their mission to help the community. Each month we also have the opportunity to work at the food pantry at Redeemer Covenant. Hush Day on Valentines and St. Patricks Days. Students are welcome to bring valentines for friends, but we really do not have any special plans for that day. There may be a treat. Science Olympiad: Science Olympiad competitions are like academic track meets, consisting of a series of 23 team events in each division Each year, a portion of the events are rotated to reflect the ever-changing nature of genetics, earth science, chemistry, anatomy, physics, geology, mechanical engineering and technology. 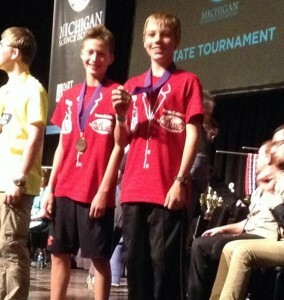 By combining events from all disciplines, Science Olympiad encourages a wide cross-section of students to get involved. Emphasis is placed on active, hands-on group participation. Through Science Olympiad, students, teachers, parents, principals and business leaders bond together and work toward a shared goal. 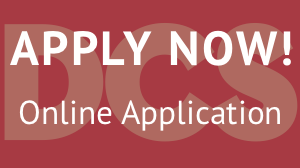 Click here for more information about Science Olympiad. FM (FM Schedule) Students may choose to attend the Friday Morning prayer group that meets from 7:15-7:30 and provides a time of prayer for close to 80 students and teachers. Doughnuts, milk and juice are provided thanks to School Circle. Parents are welcome! Accountability Groups: All middle school students are assigned to a small group with an adult leader. These groups are formed in 6th grade and stay together all three years of middle school. The groups generally meet two Friday mornings each month. On the rest of the Fridays, we either have a chapel speaker or a singing chapel. 5-8 Spelling Bee: Each year Dutton Christian participates in the Scripps National Spelling Bee. Five students from grades 5-8 compete in a school bee with the winner and runner-up continuing on to the regional bee. The winner from each regional bee progresses to The Greater Grand Rapids Bee, and the winner then continues on to the Scripps National Spelling Bee. 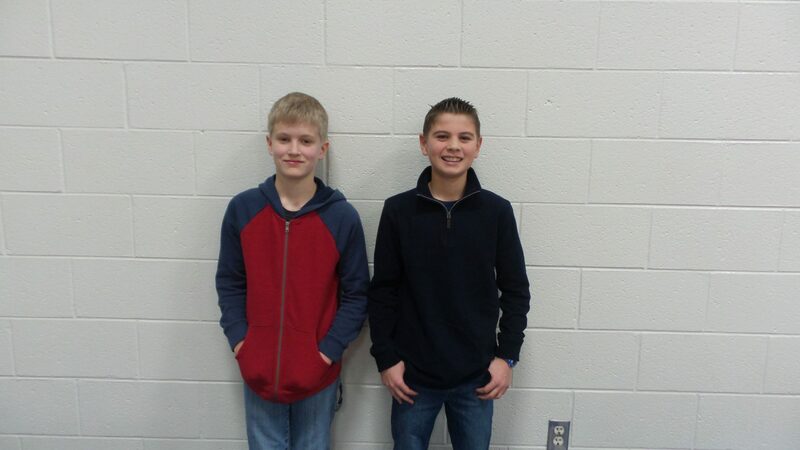 5-8 Geography Bee: Each year our 5th – 8th grade students participate in the National Geographic Geography Bee. Students participate in classroom level bees and 5 from each grade level advance to the school bee held in early December. There the questions become more challenging, and the students have to think carefully to do well. Our school winner is able to take a multiple-choice test for an opportunity to be one of the top 100 students across the state of Michigan to complete at the state level. In four of the last five years, our school winner has been able to advance. The next step is the national bee held in Washington, DC led by Jeopardy questioner Alex Trebeck. We have not made it to that level yet, but we’ll keep trying. Exploratory Classes: At least once each year, middle school students are given the opportunity to participate in an exploratory class. Exploratory classes are taught by middle school staff members as well as several parents, grandparents or community volunteers. Students are taught a skill or hobby that is not a regular part of our school’s curriculum. Examples include sewing, strategic games, edible art, geocaching, yearbook photography, graphite pencil drawing and many more. Classes usually happen in February. 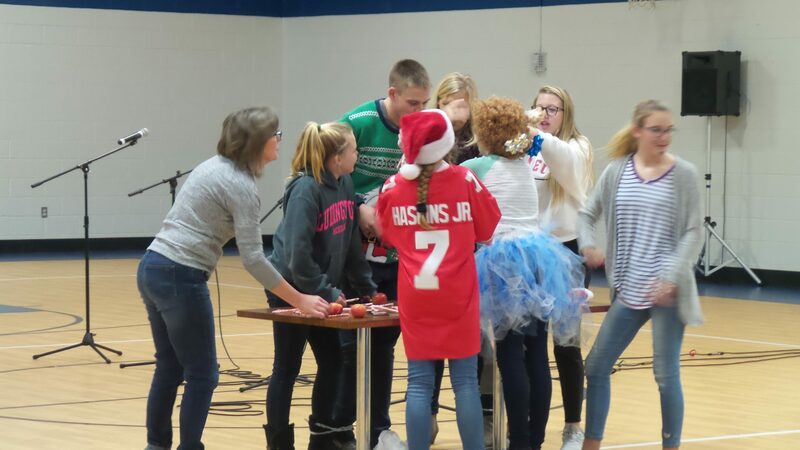 Annual Christmas Talent/ Variety Show and Parties: The Lip Sync/Variety Show is a great way our middle school students can showcase their creative talents. The show is on the last day before Christmas break and it always a lot of fun! Students can either sing a song or duet, play a piano or instrumental piece, perform a comedy sketch, perform a lip sync, or do other fun skits. Also, it is tradition for the middle school male teachers to perform a Red Green TV show comedy act, which is always very comical. The variety show is enjoyed by all! Math Triathlon: Middle school students have the opportunity to participate in a school math competition to earn a spot on the math triathlon team. Trinity Christian College sponsors the math triathlon each year – students take an individual test, a team test and participate in a team relay. 8th grade Play All 8th grade students interested in participating in the play are invited to “try out”. All students who try out do get some type of part. We practice two times per week during the months of January and February and then perform the play at the beginning of March. 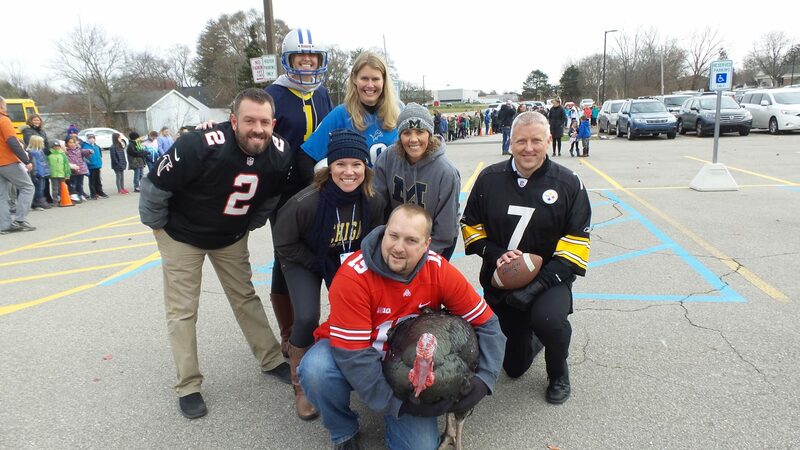 Every other year we have an exciting DCS tradition known as the Turkey Bowl Parade. It is the culmination of several school activities that celebrate the Thanksgiving holiday; is an opportunity for food donations to be gathered for a selected charity; and is always a fun, festive time for the school community to gather. The parade consists of food-filled wagons decorated by each class kindergarten through 8th grade pulled around the elementary playground area. Families are invited and encouraged to gather to cheer the parade participants. Art Club meets once a week in the art room at lunch time. It is a club for those who have a heart for art and want to have extra art opportunities. During the lunchtime meetings, students hear about upcoming events and work on various projects. Some past projects include creating art to sell at the Fall auction, making clay ornaments for a local church to put on gift baskets, and learning how to make art from duct tape. Friday evening and Saturday workshops, field trips, and service projects are planned a few times throughout the school year. In the past, art club students have created glass pendants at West Michigan Glass in Kalamazoo, attended workshops with Art Prize artists, volunteered at the Very Special Arts Festival Day at Lincoln School, and painted soup bowls for God’s Kitchen.